Black Tie Optional or Cocktail Attire Requested. Kindly mote that this event is strictly for guests 21 and over. ID required for admission. Please note that IDs will be checked/validated. Experience an unforgettable New Year's Eve party as you indulge in free-flowing champagne, an open bar, a spectacular balloon drop, & dance the night away to live bands & DJs. For dinner choose from a VIP sit down 3-course dinner with champagne or a dinner buffet of international cuisine. 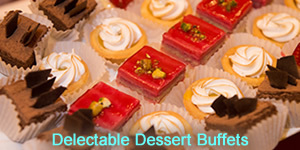 Also enjoy exquisite desserts by the pastry chef at the Willard! Celebrate NYE in grand style with each ballroom representing an international destination with entertainment from around the world, party favors, & More! Please note that as we continue to refine the gala, themes, menus, entertainment, bands and other gala details are subject to change. Experience an Unforgettable NYE Party: Free-flowing champagne & an Open Bar, Delectable Dinner & Dessert Buffets, Midnight Balloon Drop, An European Discotheque Nightclub Experience with Our DJ Spinning the Hottest International Dance Music, Doc Scantlin Dance Band, Latin Salsa Band, Caribbean Island Band, Karaoke, Party Favors, Midnight Champagne Toast :::: & More! You don't need a date to attend: Both singles and couples attend the gala every year. Whether you attend by yourself or with friends, you will have a wonderful time in the warm and friendly company of other internationally-minded professionals! Please see below for dinner & dessert menus, entertainment, themes & other gala details. Kindly note menus, themes, & entertainment are subject to change as we continue to refine the gala. We may add, change or remove advertised entertainment. 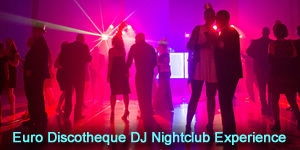 Let us transport you to a Late Night Euro Discotheque for an unforgettable nightclub experience as you dance the night away to the hottest club hits played by our DJs. 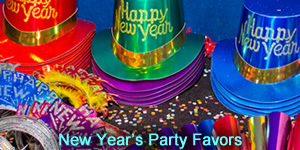 Our New Year's Eve celebration also includes dancing to music by our Latin band. From the wild times of 1950's Havana, to the modern hot spots of Argentina and Costa Rica, enjoy salsa and other Latin sounds all night our Latin band performs seductive sounds of Habana! In our stylish and glamorous Gatsby's New York themed ballroom dance the night away to the Doc Scantlin band performing a variety of sophisticated music. 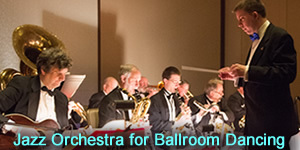 Enjoy an exquisite evening of dancing as you celebrate the New Year! Indulge in a selection of delectable desserts by the award winning pastry chef at the Willard InterContinental. Celebrate New Year's Eve in style with free-flowing champagne. Select from either a sumptuous 3 course seated dinner or a buffet of international delicacies. Also enjoy dancing to our island Caribbean band ! All this and more await you at our spectacular New Year’s Eve celebration! The Willard Intercontinental offers well-appointed suites and rooms to help you relax and ring in the New Year in luxury at discounted rate. you encounter any difficulties making your room reservation online at the discounted rate, please let us know so we may assist you. The admission registration desk will be on the lobby level. Kindly note for your security, tickets will be released at the admission desk ONLY to the person who purchased the tickets upon presenting photo ID & the credit card used to make the reservation. If you have purchased more than one ticket, please arrive for admission with your guests. For your security, no tickets will be released unless photo ID matching the name of the person who purchased the tickets is presented with the credit card used to reserve the tickets. Kindly mote that this event is strictly for guests 21 and over. Please note that IDs will be checked/validated. 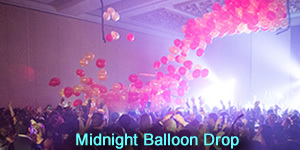 Post-dinner late admission tickets include delectable desserts, themed celebration areas, open bar, midnight champagne toast, a spectacular midnight balloon drop in the Euro Discotheque Ballroom, live bands, DJs spinning international club hits, & party favors. Please note that dinner is not included with the 10:30 PM admission tickets. Themes, bands, entertainment & menus are subject to change as we continue to refine the gala. Ambassador Level Tickets with Buffet Dinner & 9:00 PM Admission. Admission at 9PM, internationally themed celebration areas, open bar with free-flowing champagne, international dinner buffet presented in the Euro Discotheque themed ballroom foyer representing the cuisine of vibrant international destinations, delectable desserts, midnight champagne toast, a spectacular balloon drop, live bands, DJs spinning international club hits, & party favors. Dinner is served until 10:00 PM with desserts served after that. Please ensure you arrive prior to 9:40 PM to enjoy the dinner buffets presented as dinner service concludes at 10:00 PM. 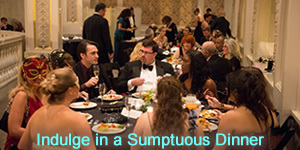 Themes, bands, entertainment & menus are subject to change as we continue to refine the gala. 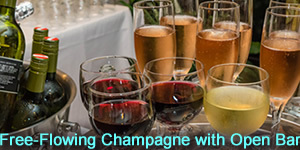 In addition to general admission benefits, enjoy a 3-course sit-down dinner with champagne at 8:00 PM. We will be seating you with other guests at tables of ten (10). If you have a large group of guests and wish to sit together, please arrive together and let us know when you check-in so we may assist you. Table seating and live music is presented while dinner is served for the prelude to an exciting celebration. Please be on time as the last dinner seating is at 8:40 PM! After the Presidential Dinner service concludes at 9:30 PM, join us in the ballrooms downstairs to enjoy the New Year's Eve Gala! Themes, bands, entertainment & menus are subject to change as we continue to refine the gala. The New Year's Eve Gala concludes at 2:00 AM with certain entertainment, bands, and aspects of the gala concluding at 12:30 AM, 1:00 AM, and 1:30 AM. Bar service concludes at 1:30 AM with nonalcoholic drinks served until 2:00 AM. The Willard InterContinental is a sophisticated haven of luxury and service in the heart of Washington DC. The hotel, the venue of choice for Presidential inaugural balls, has played host to world leaders, dignitaries and celebrities, and now it is your turn to experience an unforgettable New Year's Eve celebration one of Washington's premier and most historic hotels. We encourage you to reserve your tickets early, as we sold out each of the previous years. The Metro is just a couple of blocks away providing easy access. Hotel parking is limited & available on a first-come basis and not guaranteed. We recommend Uber, a cab or the Metro as parking is limited. Valet & self-parking for event attendees is $35.00. Valet & self-parking for overnight guests is $55.00. Self-parking entrance is on F Street between 14th & 15th Street. Additional parking: Metropolitan Square on F Street between 14th & 15th Street, nearby garages, or street parking. Parking rates are subject to increase. You can transfer tickets to another guest as long as you contact us 48 hours prior to the event, and request a Credit Card Payment Authorization Form for payment confirmation. We must receive the signed Credit Card Payment Authorization Form at least 48 hours prior to the event with a copy of your photo ID in order to authorize another guest to attend the gala. For the security of the credit card holder, there will be no exceptions to this policy. Click here to reserve a room at the Willard. Due to the popularity of the gala, the Willard is almost at capacity. Available room rates are listed on the Web page above. Please note that rooms at the Willard are handled directly by the hotel. Since we are not in control of the hotel rooms or any aspect of hotel rooms, kindly note that we are unable to be responsible for any aspect of your room reservation. Please verify your room preferences directly with the hotel. Additional rooms are available at the JW Marriott at a lower cost. Kindly note that the rooms at the JW Marriott are in a separate hotel, so you will have to cross the street to reach the Willard for the gala. Rooms at the JW Marriott are handled directly by the hotel. Since we are not in control of any aspect of the hotel rooms, we are unable to be responsible for any aspect of your room reservation. Please verify your room preferences directly with the hotel.